First of all, we would like to thank everyone who came to our two open house events this weekend. We had so much fun introducing so many people to the sport we love! We hope everyone had fun and that we’ll see some of you back this week. Youth Beginner Epee (for kids ages 7-12) starts at 5:00 tomorrow (Monday), and Adult Beginner Epee (ages 13 & up) will start at 6:15. There are still spots in both epee classes, so walk-ins are welcome to sign up on site. Please arrive a few minutes early if you have not yet completed a registration form and waiver. Beginner saber fencers will start on Tuesday. 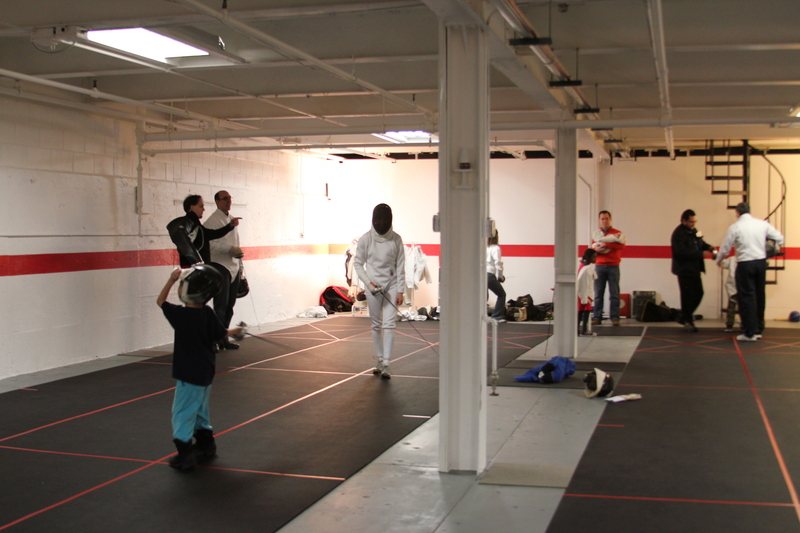 We still have room for more fencers, so walk-ins are welcome to sign up on site. Please arrive a few minutes early if you have not yet completed a registration form and waiver. We had people from age 6 to age 70 learn about fencing at our open house.